Everyone had that childhood friend who wore braces and had to leave school early every 4-6 weeks for a dreaded trip to your Castle Pines, CO orthodontist to tighten their wires and check their brackets. You may have envied her getting out of class or eating pudding for dinner, but the memories of the time she lost in checkup appointments may have made you hesitate about pursuing treatment for yourself. With the responsibilities we all seem to manage, who can give up a regular spot on their calendar nearly every month for two years? The fact is, despite any initial reservations about braces, they perform an incredible important function. Teeth that aren’t properly aligned are more difficult to keep clean, which can make you more susceptible to decay and even tooth loss. Improper tooth alignment also strains your chewing muscles, leading to conditions like headaches and neck pain. There’s also the cosmetic component – maybe you’ve been hiding behind your less-than-perfect smile, and it has been holding you back in your personal and professional life. The good news is that our orthodontic office in Castle Pines, CO, can help you to straighten your teeth while minimizing the time you spend in the orthodontist’s chair. If you’ve thought about how to improve your dental health and your smile, your orthodontist in Castle Pines, Colorado (CO) has the latest technology in orthodontics that will give you a beautiful, healthy smile with a shorter time commitment. One of the accelerated treatments offered by Castle Pines orthodontist, Dr. Linn, is AcceleDent . In just 20 minutes every day, a mouthpiece designed to fit around your braces works together with an activator to speed up tooth movement using AcceleDent’s patented SoftPulse Technology. This can decrease the overall time of your treatment for either traditional, fixed braces or clear aligners. It may even make your braces more comfortable! This special technology uses micropulses in conjunction with your braces or aligners to gently move your teeth along their treatment plan a little faster, getting you closer to the day when you can smile confidently. 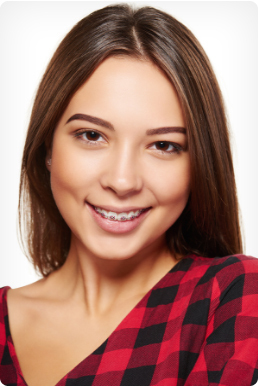 As you consider orthodontics, you’re probably excited and a little nervous about those metal wires and brackets that will need regular adjustments. To help with this, Brandon Linn Orthodontics also offers SureSmile, an innovative technology that makes treatment faster and easier than ever before. It’s sure to change how you think about braces! With SureSmile, Dr. Linn combines state-of-the-art 3-D imaging with treatment planning and customized appliances, reducing your treatment time. Not only that, the efficiency that results from this technology means fewer wire changes and adjustments. Brandon Linn Orthodontics uses the SureSmile 3-D software to ensure effective alignment of your teeth. This means fewer adjustments and less discomfort. Call Brandon Linn Orthodontics in Castle Pines today at 303.688.9617 to discuss the ways that you can show off your best and brightest smile faster than you thought possible! Dr. Linn, 5-star-rated Castle Pines, CO orthodontist offers many solutions to your orthodontic needs including metal braces and Invisalign. Additionally, you can accelerate your orthodontic treatment at Brandon Linn Orthodontics with Suresmile, and AcceleDent. Call today for a Brandon Linn Smile Analysis at either of our orthodontic offices conveniently located in Castle Pines and Highlands Ranch, Colorado (CO).